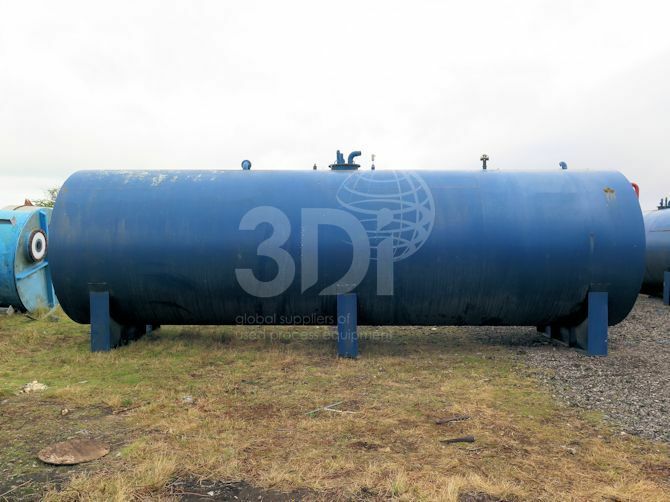 Used 54,000 Litre Steel Storage Tank. Orientation horizontal, cylindrical, dished ends. Supported by three cradles. Dimensions 2750mm diameter, 9600mm on the straight. Connections 76mm inlet and outlet, top man way. Previously used to store diesel.